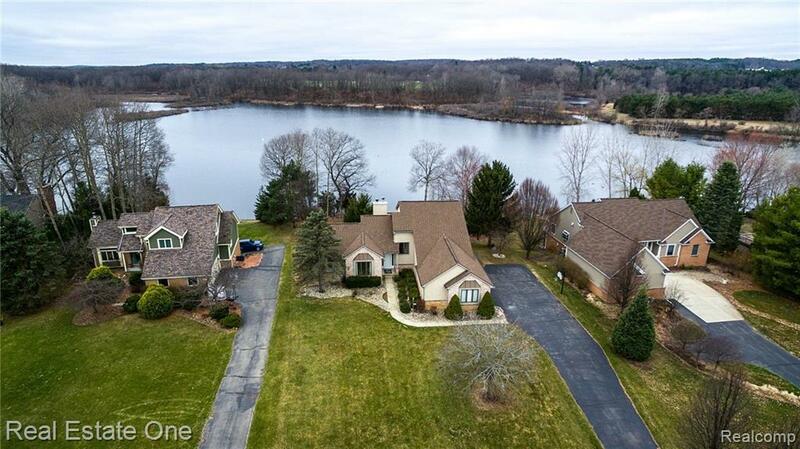 Private, lake-front living. 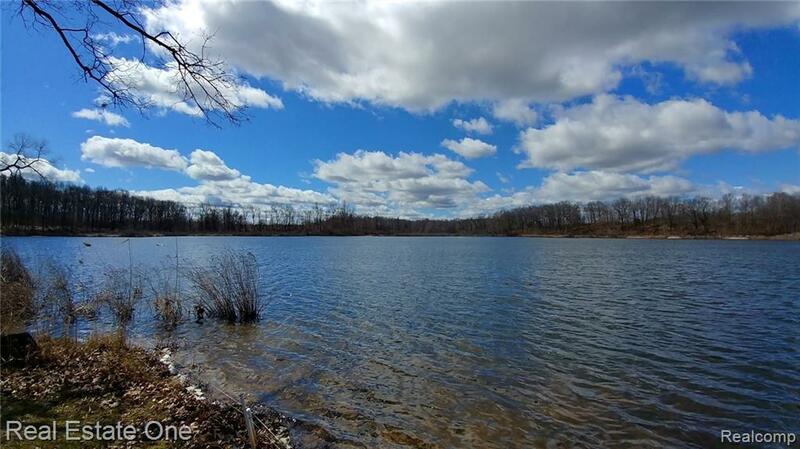 Tranquil setting w/ 100 ft of lakefront for boating, kayaking, fishing, across from natural, township land- no homes on the other side of the lake! 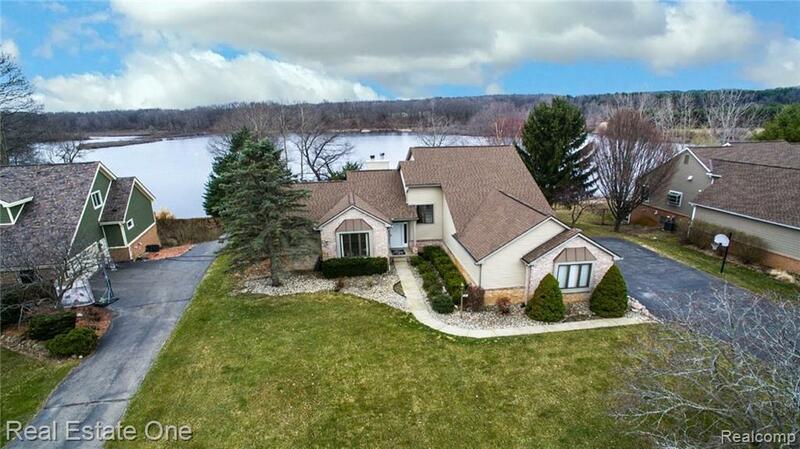 Great Room w/ vaulted ceiling & gas fireplace features large windows overlooking the lake. High ceilings & lake views continue into the 1st floor Master. En-suite bath includes WIC, 2 vanities/sinks, jetted tub & separate shower. Eat-it kitchen w/ H.W. floors, island & doorwall to deck on the lakeside. Additional dining area w/ wall of windows opens to the Great Room. 1st floor study & also 1st floor laundry off of the great, 3-car garage. Upstairs you will find 2 generously sized bedrooms & a large full bath, featuring 2 separate showers (1 also with tub) & large vanity w/ double sinks. 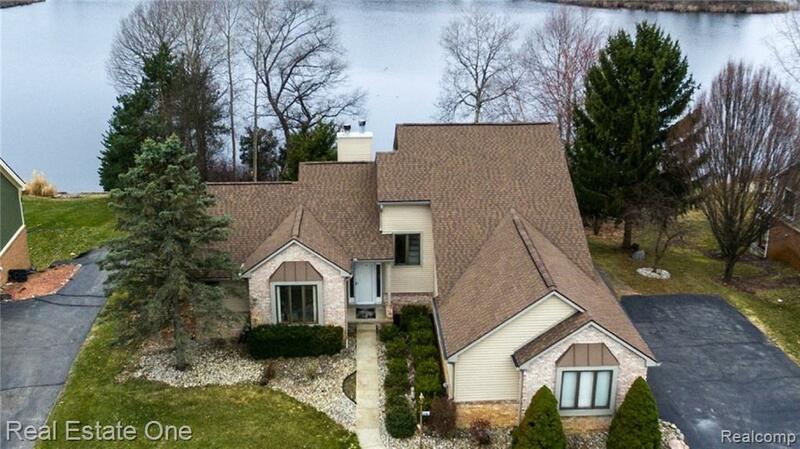 Lower level walk-out has a spacious finished family room w/ 2nd gas fireplace. Large lot with park-like front yard, sprinklers & koi pond. Updates include siding ('15) roof ('15) well ('13) furnace ('16) carpet & paint ('18).